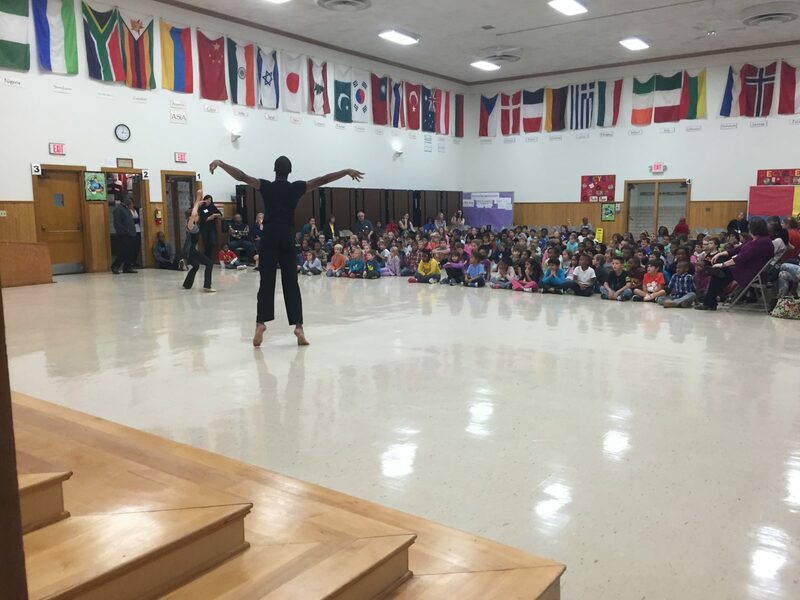 Verb Ballets promotes and develops appreciation for dance through interactive programs and performances that promote learning and nurture wellness. It is the goal of our community outreach programs to connect the experience of dance to people in exciting and vibrant ways. 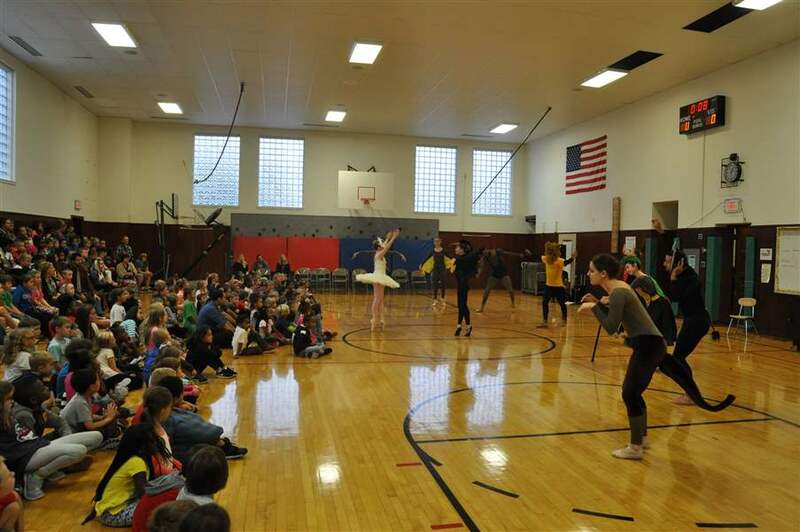 Verb Ballets offers outreach residencies and lecture demonstrations in a variety of settings, including schools, libraries, community centers, arts institutions, and healthcare facilities. By participating in a lecture demonstration, movement workshop, or residency, individuals interact first-hand with dance, learn about the creation of dance works, experience new ways of moving, and stimulate their own creativity. If you have any questions on how your school or group can get involved feel free to call Desmond Davis or Sabrina Lindhout, Education + Outreach Co-Coordinators at 216-397-3757 or email. Offer students and teachers the opportunity to learn how movement relates to subjects such as science, social studies, language arts, and math. Through improvisation and dance composition exercises, students create dances to explore and reinforce themes they are learning in other subjects. Integrated curriculum lessons are created in collaboration with classroom teachers, follow Content Standards, and can be tailored to the specific needs of each class. The Carnival of the Animals, a whimsical menagerie of animals comes to life in this 30-minute children’s ballet set to Camille Saint Saëns’ beloved score. Associate Director Richard Dickinson has taken the music of Saint Saëns to tell the story of the Cuckoo Bird who is made fun of by the different animals but ultimately learn to appreciate one another’s differences. The beautiful Swan teaches tolerance and acceptance that ends in a grand carnival ending the ballet. Peter and the Wolf is a playful 30-minute children’s ballet set to music of Sergie Prokofiev choreographed by Pamela Pribisco. Verb Ballets introduces students to the plot and characters of Peter and the Wolf performs the story of Prokofiev’s Peter and the Wolf as told through dance. Students experience storytelling through the interaction of narrative, music and movement, and gain understanding of how character and plot are communicated across multiple art forms. Cultivate and understanding, through movement, of the similarities and differences between Asian cultures regarding climate, food, and living patterns. Utilizing music and movement, three dancers take you to India and beyond while performing Heinz Poll’s famous choreography for Ravel’s Bolero. 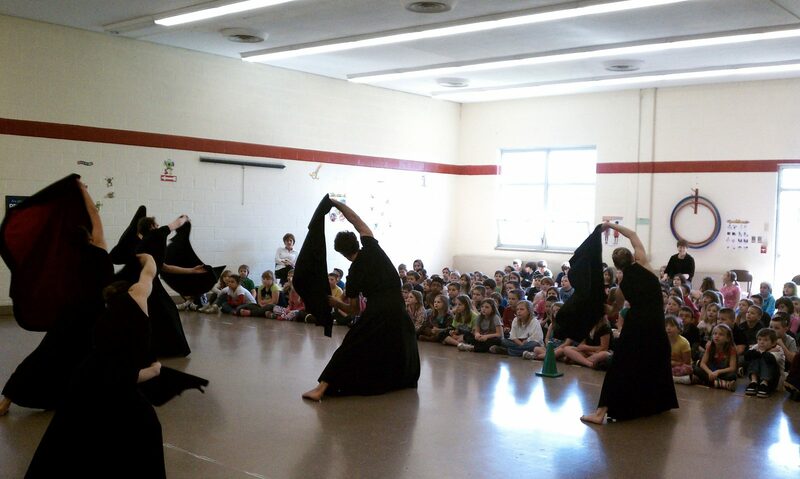 Students travel to China through the beautiful Tai Chi dance. The program finishes in the Philippines with a traditional dance called the Tinikling. The amazingly simple Wigglewords program utilizes basic dance movements for each letter of the alphabet to enhance a wide range of literacy skills, including spelling, phonics rules, identification of vowels and consonants and rhyming/storytelling. 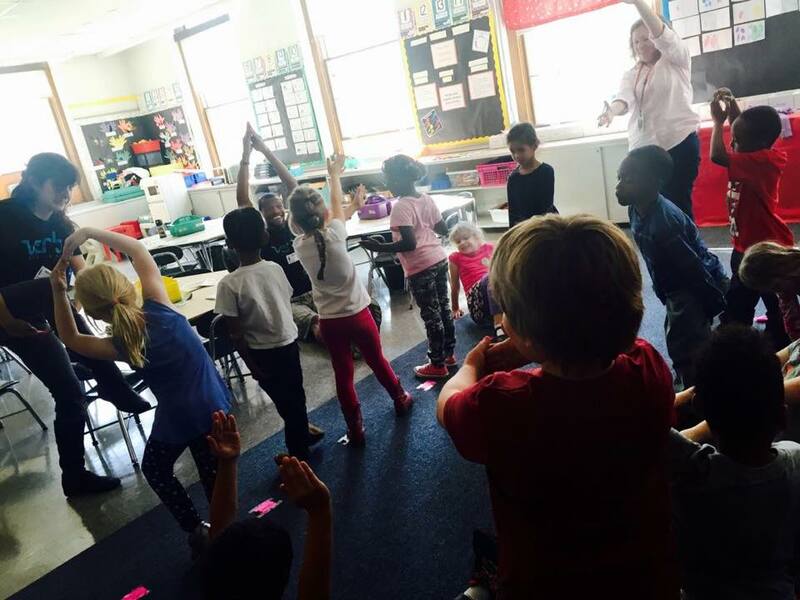 This Pre K- 4th interactive program get kids on their feet and supports kinetic readers! 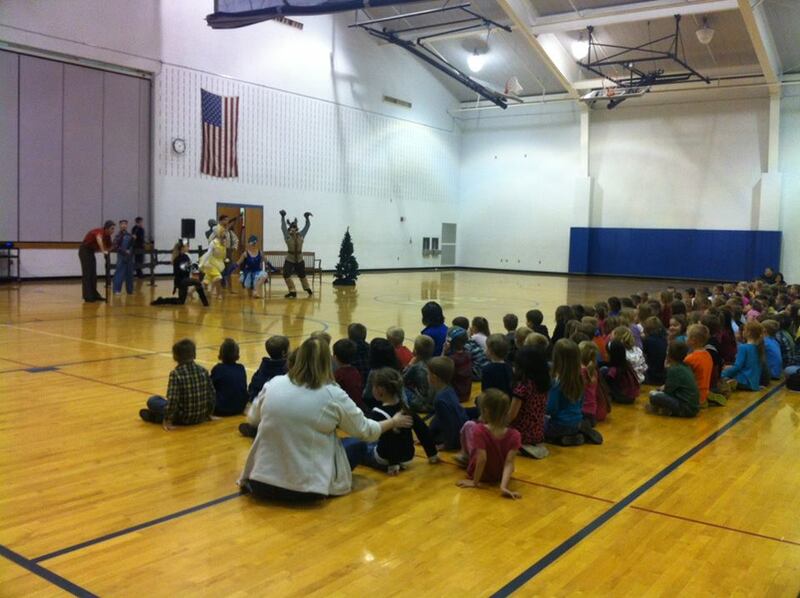 Can be in conjunction with performances or done in an outreach setting. Enhance your students’ skills in geometry and mathematics by taking them on a playful journey in search of lines, shapes, and angles. In Shape Imagination, choreographed by Jose Bustamente, dancers and balloons become the catalyst for the exploration of geometric shapes, design, and choreographic patterns. Utilizing music from orchestral to operatic, dancers do vigorous lifts, jumps, and turns while handling delicate, brightly colored balloons designing and re-designing the space in and around their bodies and students discover geometry is all around, not just in the classroom.